Now we need to prepare the extension. You have cut two extensions (mirrored) but we only need one. Select the extension that matches the left leg (it looks like the photo above). 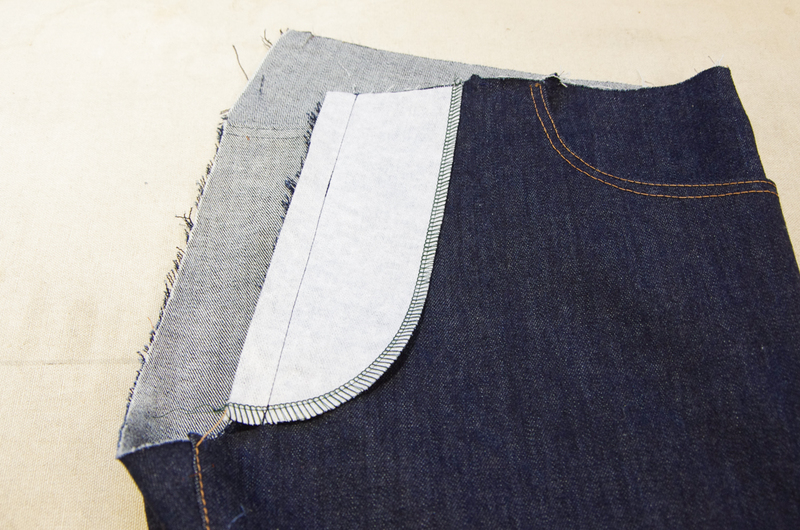 Apply interfacing if you haven't already and finish the curved edge using your choice of a serger, zig zag stitch or pinking shears. 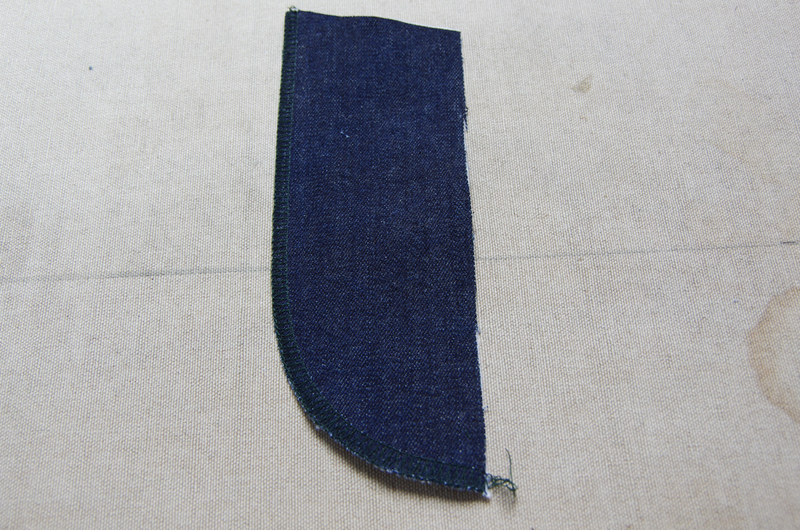 Stitch the extension in place using a 5/8" seam allowance. 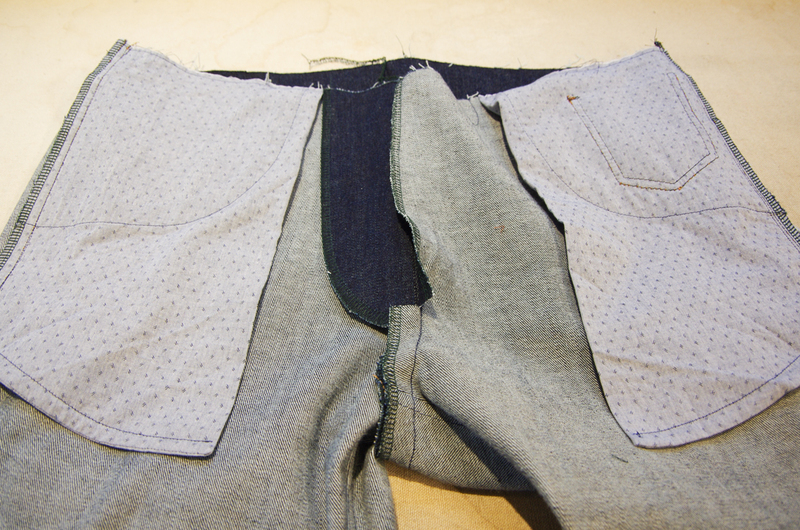 Now the extension has been added, it is time to stitch the seat seam! 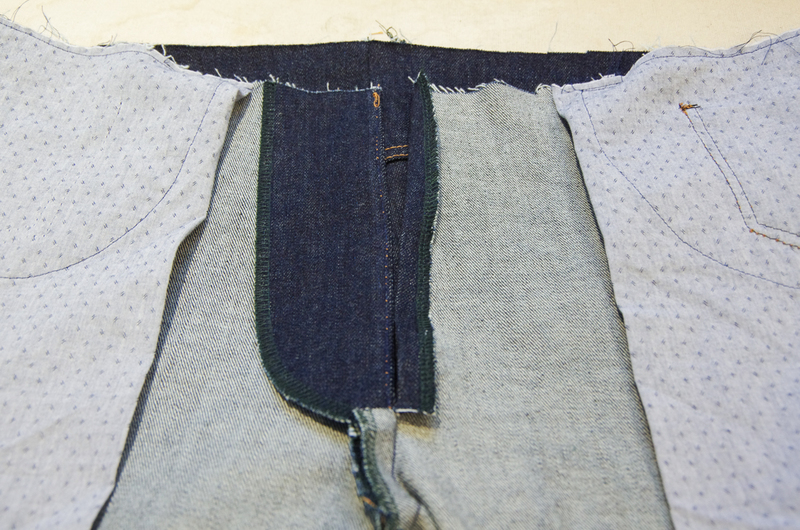 We will be stitching from the back up until the fly notch (the lower notch). Prepare for this by placing the legs with right sides together. 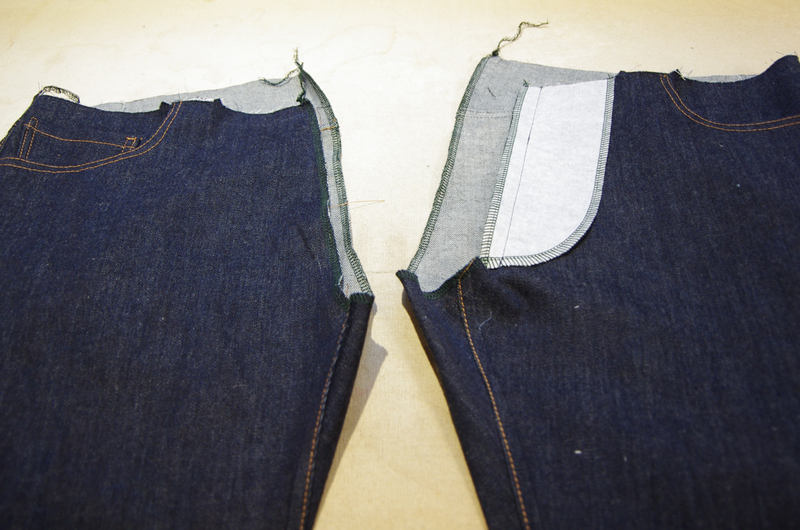 I like to keep my pant legs right sides out and simply place them together as they will look when they are finished (see the photo below). 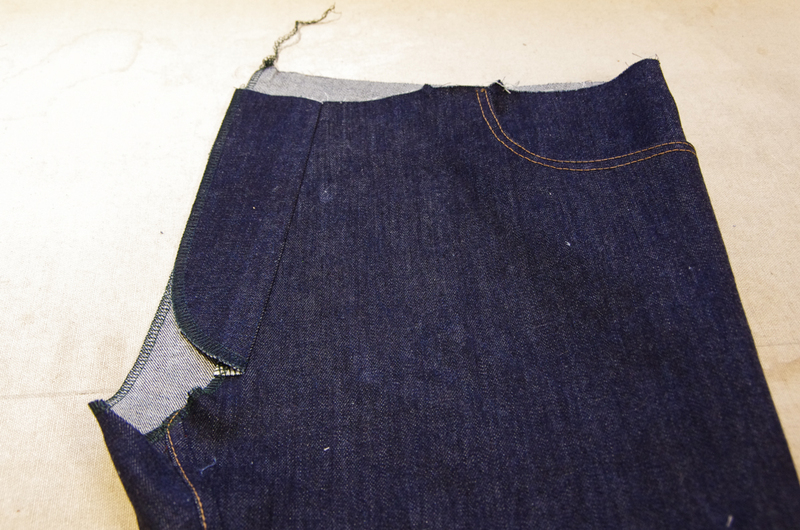 Alternatively, you could turn one leg inside out and place the other pant leg inside of it so that right sides are together and pin the seam that way...whichever method makes more sense to you! 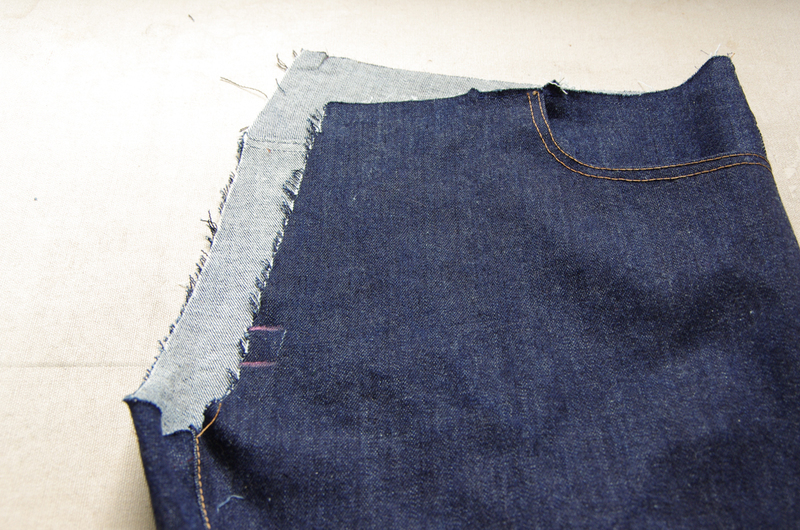 I like to skip the step of turning a leg inside out. 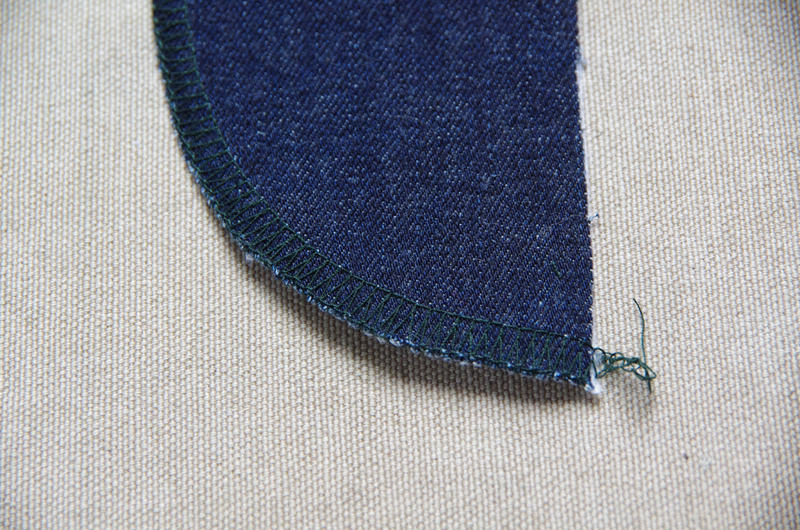 Stitch the seam using a 5/8" seam allowance. 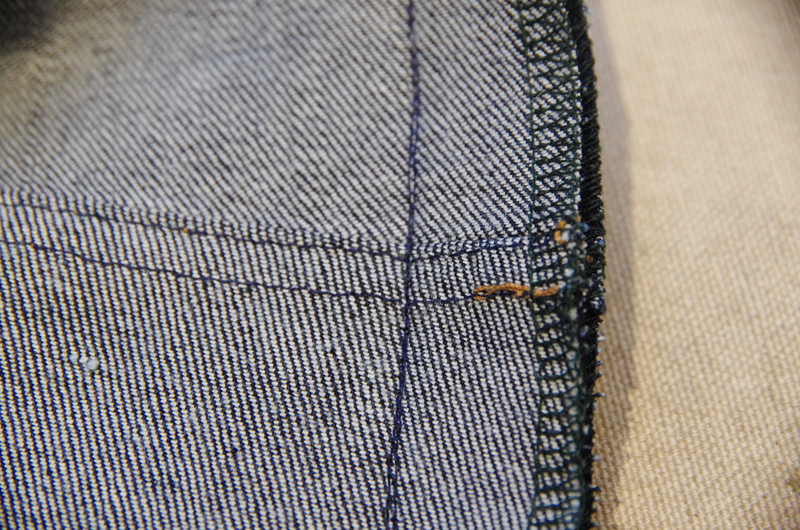 Backstitch thoroughly when you get to the fly notch. 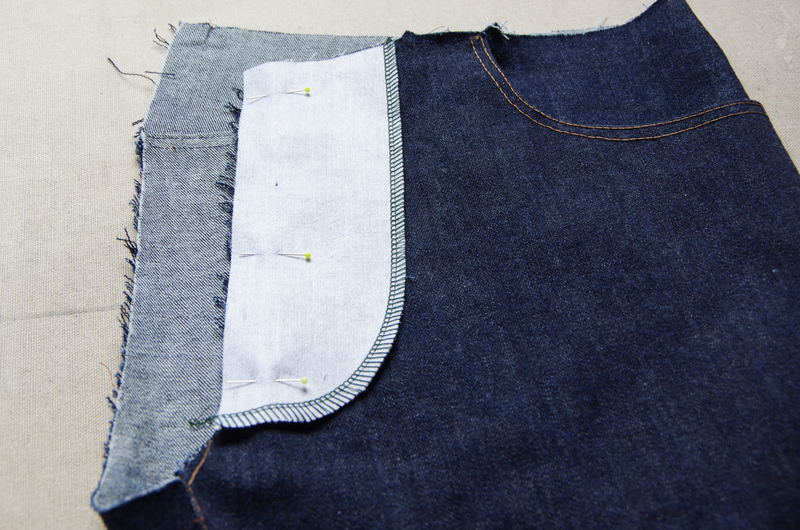 Once you're happy with the results, stitch the seat seam again to make it extra strong. 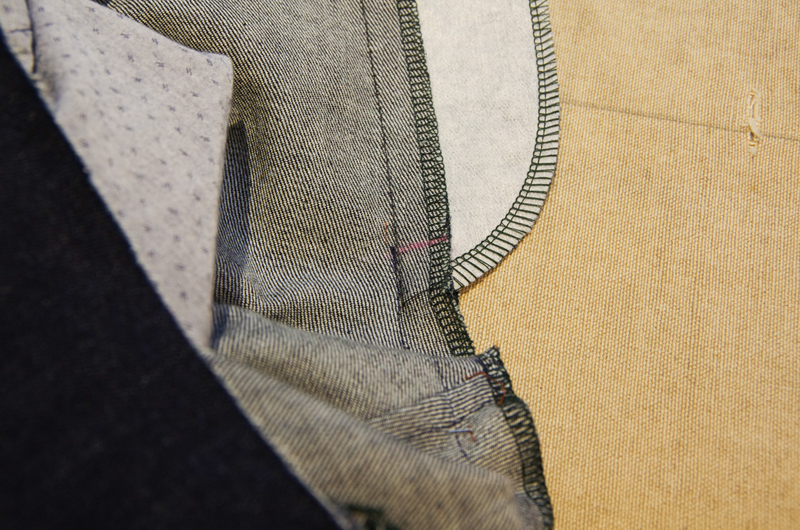 Finish the fly preparations by pressing the right fly seam allowance under only 1/2" (not the full 5/8". 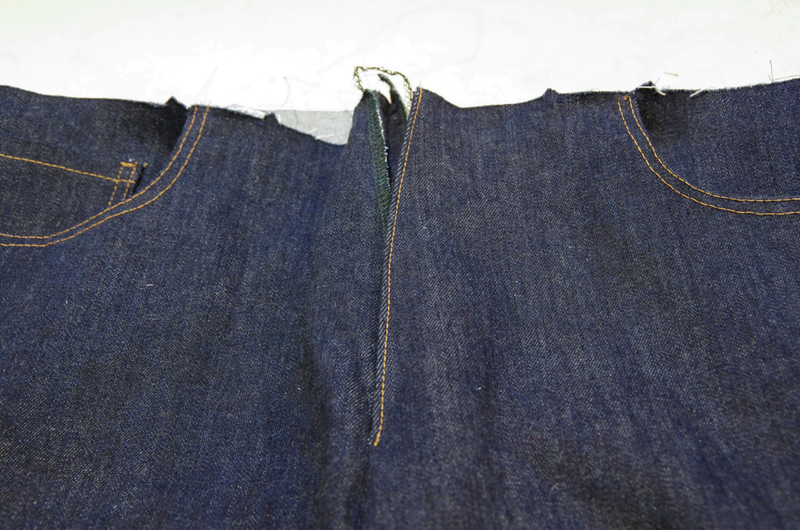 This allows you to slightly offset the zipper so it does not peek out from the fly opening. 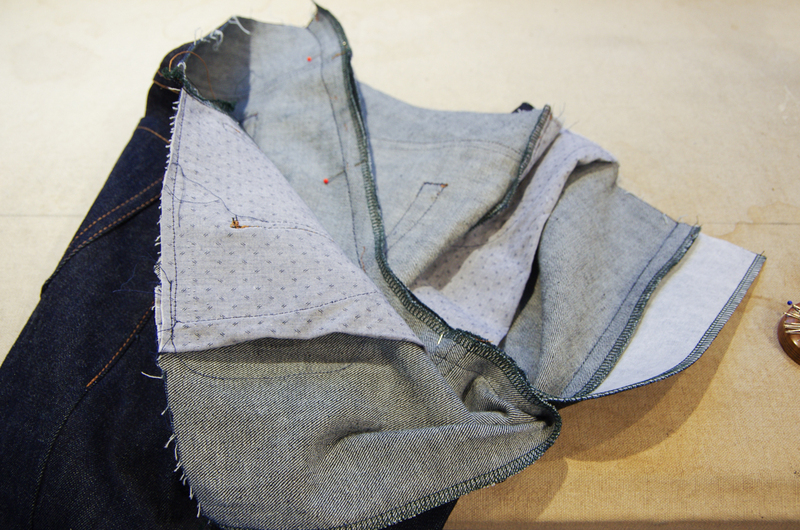 Our preparations are now complete and we are ready to create the fly during the next sew-along post! Don't worry, we'll take it step by step and by the time it is complete you will be very proud of your creation!